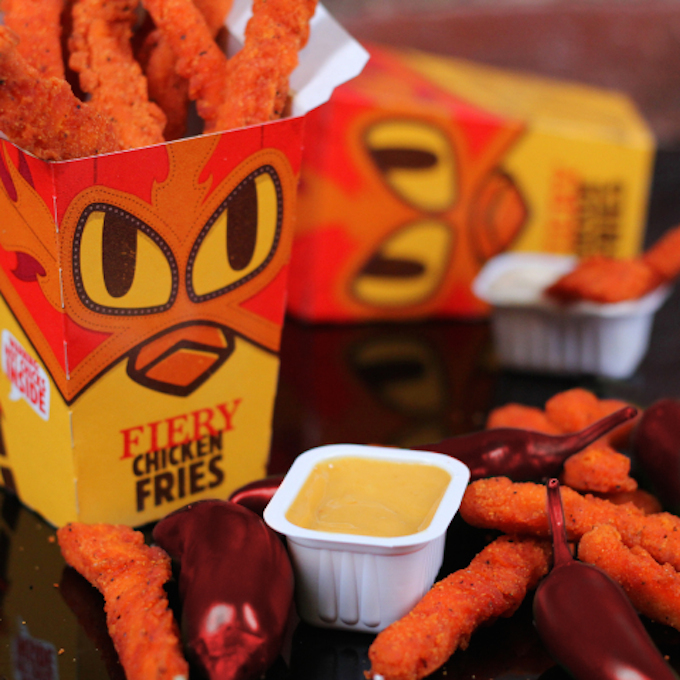 The fast food chain added chicken fries to its permanent menu in March, after they proved a successful temporary addition to the lineup. McDonald’s doesn’t have chicken fries, other chains have chicken, people like chicken — it makes sense for Burger King. It also gave the chain a 6.7% boost in same-store sales in the second quarter, notes Bloomberg. Another thing some people like is the experience of eating something incredibly hot and spicy, searing off your tastebuds and ravaging your mouth like wildfire. And when a menu item is described as something so spicy “it might actually offend you,” we can only imagine there will be mouth ravaging. The new menu item features fried chicken strips seasoned with cayenne and black pepper, and were designed to attract “spice seekers,” Eric Hirschorn, the burger chain’s chief marketing officer said in a press release. “More than a quarter of taste testers even told us Fiery Chicken Fries were “spicy as $#*!”, so when we heard that reaction we knew we had found the perfect level of heat,” Hirschorn says. Such language! That’s part of the whole thing, see? Burger King is quoting naughty language on purpose. The new fiery chicken fries come in boxes of nine for $2.89 and will be available for at least a month. Previous Philadelphia Asks Comcast Why It’s Not Treating Its Hometown As Well As Other Cities?